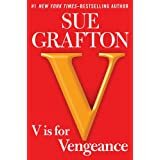 I'm reading V is for Vengeance, by Sue Grafton. This is the 4th last in the alphabet mystery series, and the best so far, imho. 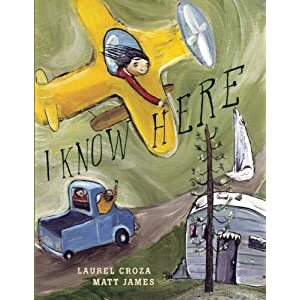 I read I Know Here, by Laurel Croza, to my son this evening. My daughter requested The Very Hungry Caterpillar by Eric Carle. It's a classic, and we all enjoyed it. Oooh, new Sue Grafton! Yay! I love her books. I shall have to get that one when it comes out in paperback/I get to a bookstore. I'm reading (just started) Careless in Red by Elizabeth George. It's one of the Inspector Lynley novels, but Lynley is going through rough times and is a potential suspect. It's great so far, but I'm only 75 pages in. I should have figured you for a George fan, Helen! I've only read one of the early Lynley novels but I liked it. I can't believe you don't have a Kindle, with the amount you read! Where do you put all your books? Robin, I want to read 11-22-63 because I love time travel, but I am such a wuss. I am afraid he'll make it all scary! We love Dr. Seuss too. I love physical books too much for a Kindle I think! My books are everywhere. Sigh. I really need a new bookcase or two but DH and I are warring over it. I re-home a lot of books through Bookmooch, but no-one has mooched from me in ages. Absolutely recommendable, if you have not read it yet.